20 cents per mile driven for medical or moving purposes, up 2 cents from the rate for 2018. 14 cents per mile driven in service of charitable organizations. The business mileage rate increased 3.5 cents for business travel miles driven and 2 cents for medical and certain moving expense from the rates for 2018. The charitable rate remains unchanged. The standard mileage rate for business is based on an annual study of the fixed and variable costs of operating an automobile, including depreciation, insurance, repairs, tires, maintenance, gas, and oil. The rate for medical and moving purposes is based on the variable costs, such as gas and oil. The charitable rate is set by law. Taxpayers always have the option of claiming deductions based on the actual costs of using a vehicle rather than the standard mileage rates. Prior to tax reform, these optional standard mileage rates were used to calculate the deductible costs of operating an automobile for business, charitable, medical or moving purposes. However, it is important to note that under the Tax Cuts and Jobs Act, taxpayers cannot claim a miscellaneous itemized deduction for unreimbursed employee travel expenses. Taxpayers also cannot claim a deduction for mileage related to moving expenses, except members of the Armed Forces on active duty moving under orders to a permanent change of station. A taxpayer may not use the business standard mileage rate for a vehicle after using any depreciation method under the Modified Accelerated Cost Recovery System (MACRS) or after claiming a Section 179 deduction for that vehicle. In addition, the business standard mileage rate cannot be used for more than four vehicles used simultaneously. Please call if you need additional information about these and other special rules. 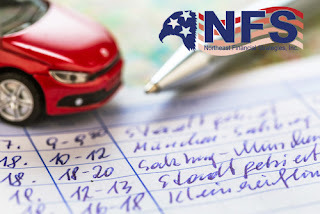 If you have any questions about standard mileage rates or which driving activities you should keep track of as the new tax year begins, do not hesitate to contact the office.